White Rabbit Animation Production Log: Sound Bites..! In addition to composition of the music, another important task in the pre-production of forthcoming stop-motion animated short, 'The Bone House' is the manufacture of sound effects. Although compilation of the soundscape is an ongoing process that will only be finalised in post-production, there are two reasons why we've elected to record sound effects at this early stage. The first is their use in animatics (a rough edit of the entire film produced from the storyboards). The second is their use in the percussive section of the music. Inspired in part by Jan Švankmajer's attention to sound, we decided that a nice texture could be added to the music by using sound effects related to the story, in addition to more conventional percussion such as drums. We've two methods to harvest sound. The first is 'sound farming' where we set up a sound booth and artificially manufacture sound effects from various objects. The second is 'sound fishing' where we set off on an expedition to capture sound as it naturally occurs. Interestingly, great sounds can originate from sources that you wouldn't expect. 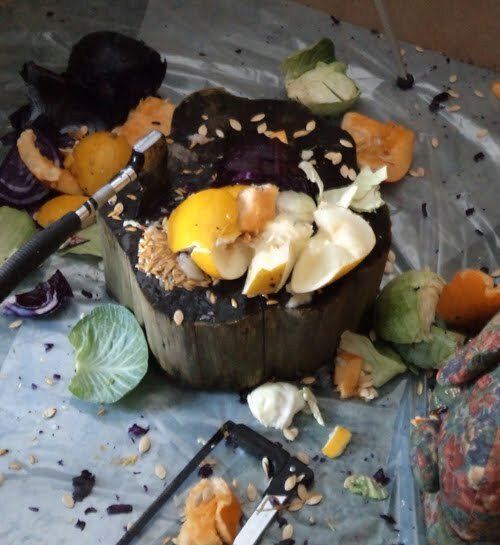 For example, a convincing 'body being hit with an spade' sound effect was created by striking a red cabbage with a hatchet.